AT LEAST YOU DID AT THIS YEAR'S NY AUTO SHOW. SPECTATORS NEARLY SUFFERED FROM "EXHAUST"ION. SEE WHY AS OUR FASHION REPORTERS TAKE YOU ON A VIRTUAL RIDE. 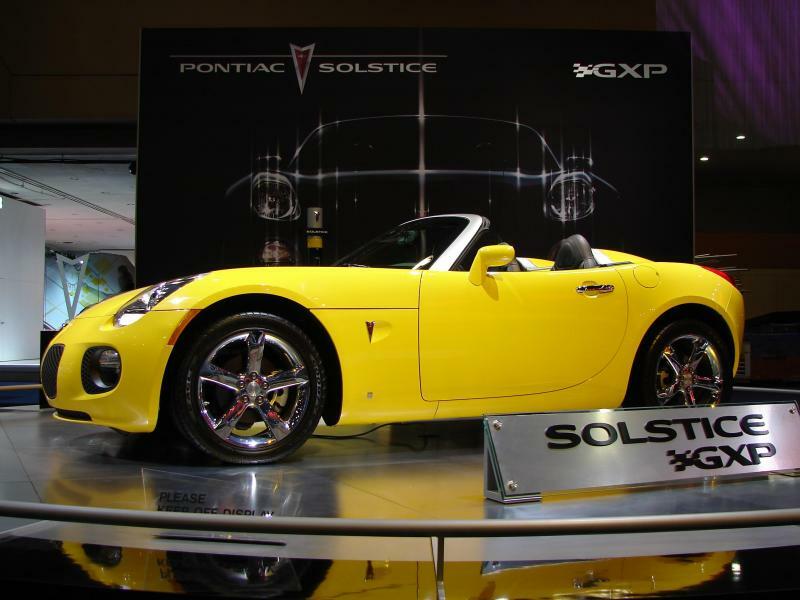 Pontiac's Solstice convertible two- seater gets the high-performance and same treatment of a Chevrolet Corvette. Suspension is better than ever which means a smoother ride. Look cool in this baby as the sun beams into your Marc Jacobs aviator shades! The 2009 Jaguar XF has replaced the older S-Type sedan. The newer and more modern style model sedan is larger than the S-Type, and the heritage styling found in the hood, the headlamps and the grill will be the design model for future Jaguar cars as well.